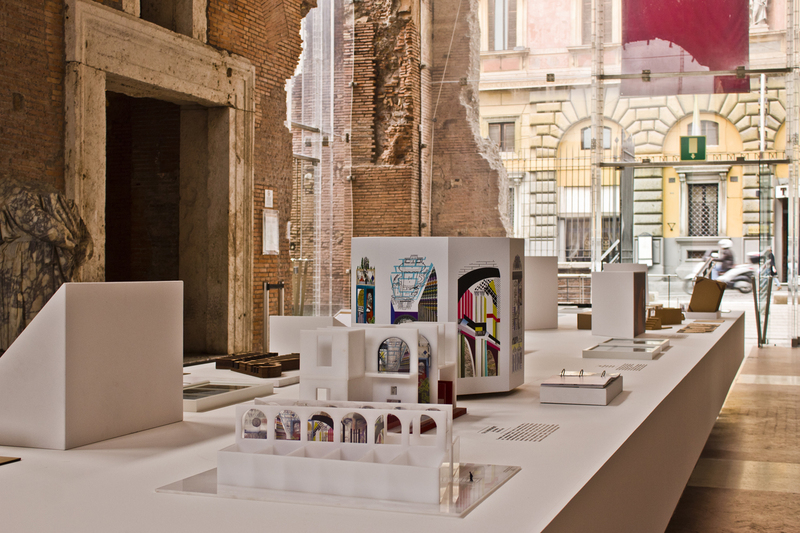 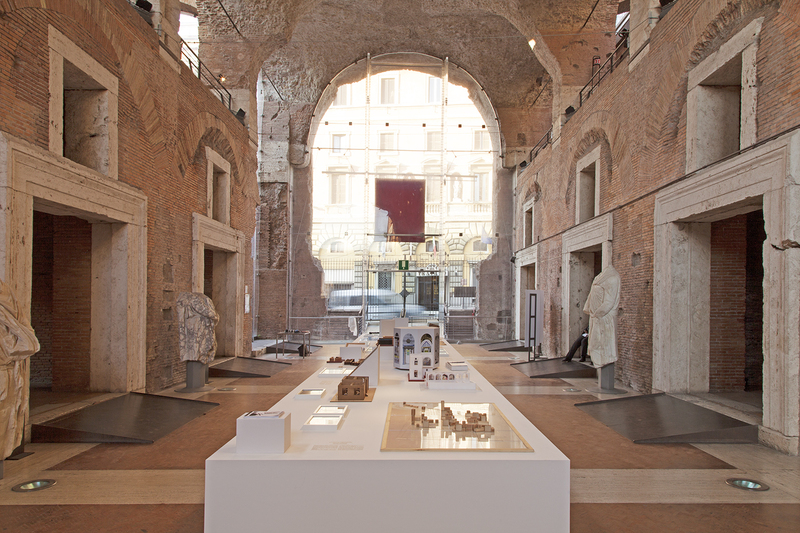 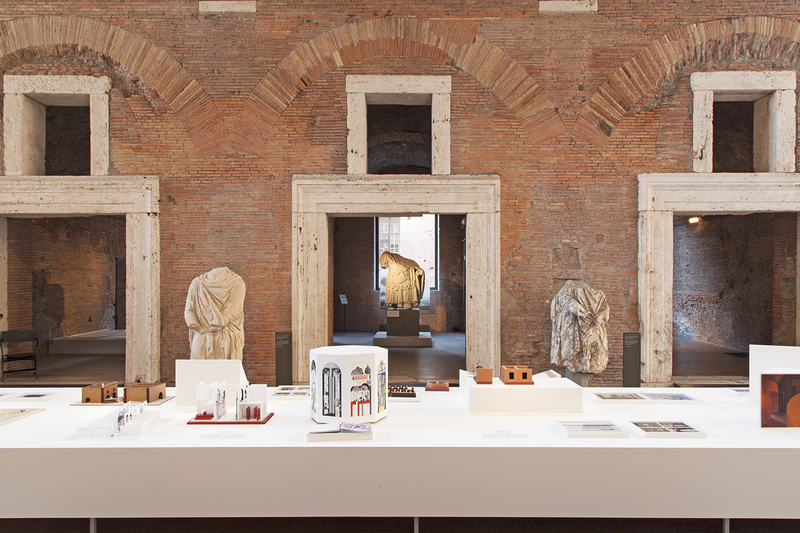 The exhibition showed projects made by the students of IED in Rome. 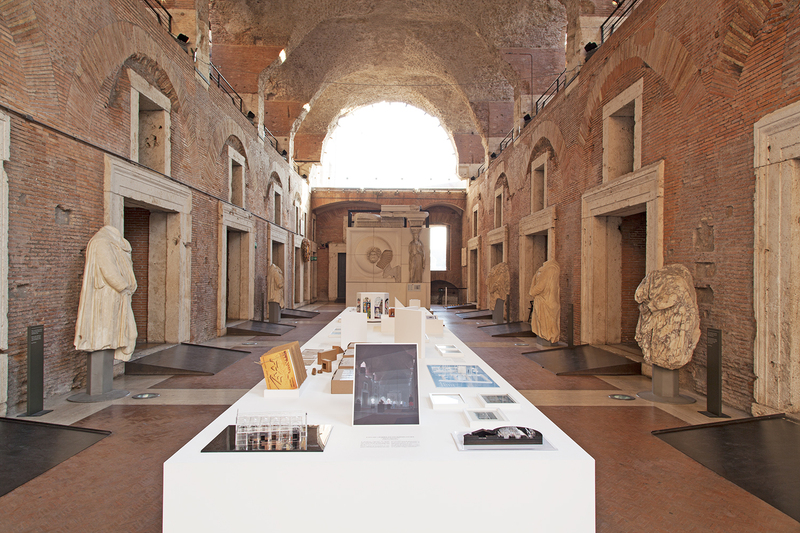 It was conceived as a massive table inside the great hall of Mercati di Traiano monumental museum. 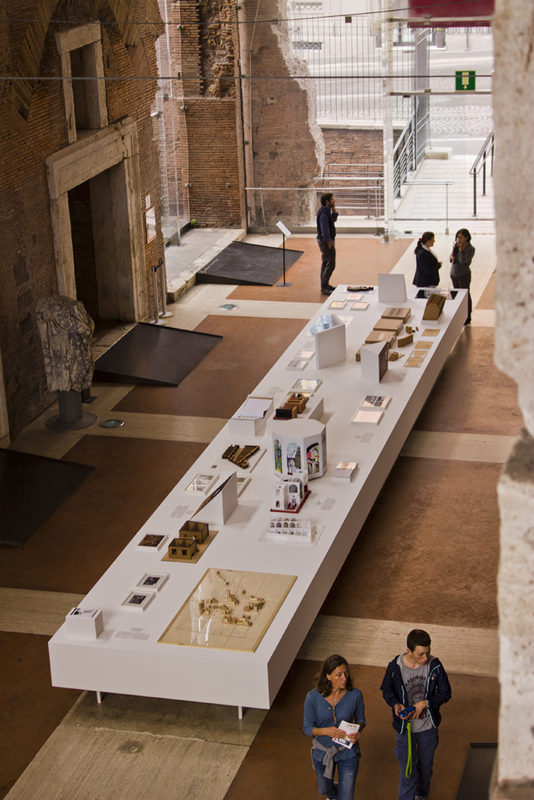 On the table, different devices held up drawings, images and maquettes, as a sort of archeological site.